Every other day passing is leading us to some results breaking grounds on IPL season 2019. This IPL season from start has come with twists and clashes. Either it’s the return of Steven Smith to the field after sandpaper scandal, Clash of Ashwin and Jos Butler or the rough start for RCB and MI. 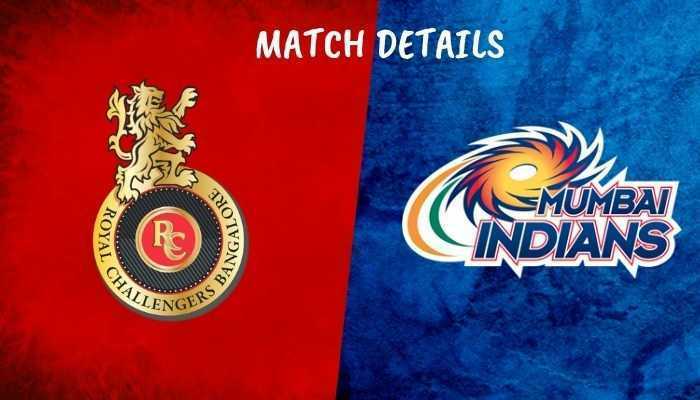 Today’s match will be the clash of titans when world’s best batsman Virat Kohli (RCB) would come across ODI’s best bowler Jasprit Bumrah (MI) at the stadium of M.Chinnaswamy, Bengaluru on Thursday at 8:00 PM with the crowd full support to their home team. M.Chinnswamy Stadium’s pitch offers batsmen a great benefit. This pitch is batting friendly but the scores are still hard to catch. For the spinners this pitch offers much and small boundaries are some of its pitch aspects. Both the teams have been defeated in their first matches of the season. But keeping up the spirit for winning. None of the team members have been injured till now but the key player AB de Villier has not been able to play the first match cause of illness but will be showing some moves in front of Bengaluru fans and be replacing de Grandhomme or McCullum in the line-up. Mumbai Indians holds a clear superiority over Royal Challenger Bangalore as they have won 14 out of the 22 encounters between the two teams. Among all the IPL teams Mumbai has the most win against the Royal Challengers. Mumbai Indians have won the title twice and Royal Challengers Bangalore are thriving for it. Both the teams are filled with notorious, best and experienced players with new rising talent. In captaincy of Virat Kholi (RCB) and Rohit Sharma (MI), both teams are willing to take the winning title and strong their game in IPL’s Standings. Teams will be playing with the following of the predicted XI. Parthiv Patel (wk), Virat Kohli (c), Moeen Ali, AB de Villiers, Shimron Hetmyer, Shivam Dube, Tim Southee, Umesh Yadav, Yuzvendra Chahal, Mohammed Siraj, Navdeep Saini. Rohit Sharma (c), Quinton de Kock (wk), Suryakumar Yadav, Krunal Pandya, Yuvraj Singh, Kieron Pollard, Hardik Pandya, Ben Cutting, Mitchell McClenaghan, Mayank Markande, Jasprit Bumrah.